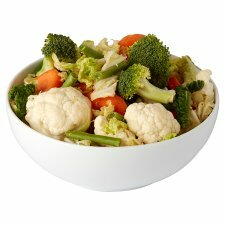 Carrot, broccoli, cauliflower, savoy cabbage and fine beans. 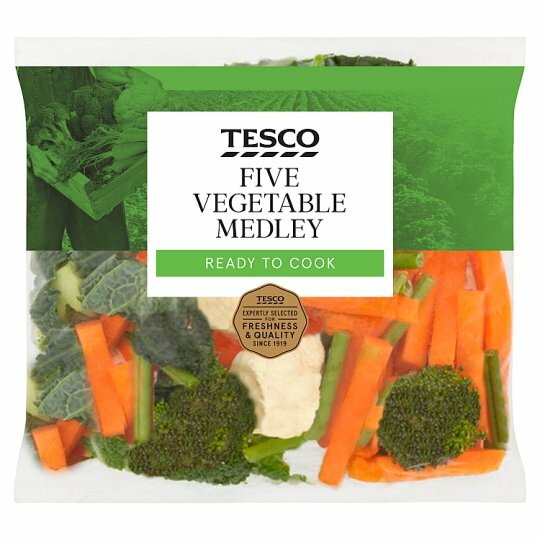 INGREDIENTS: Carrot, Broccoli, Cauliflower, Savoy Cabbage, Fine Beans. Instructions: Do not remove from packaging. Leave to stand for 1 minute after heating. Place in a saucepan of boiling water. Bring to the boil. Simmer for 5-6 minutes. Washed and ready to cook.